The photo was taken at Nelson Bay. It is a White’s seahorse (Hippocampus whitei). They seem so delicate that in the water I have become quite concerned not to disturb them. I never take seahorse photos now with added light, making do only with what is available. This one seemed to repay my concern. 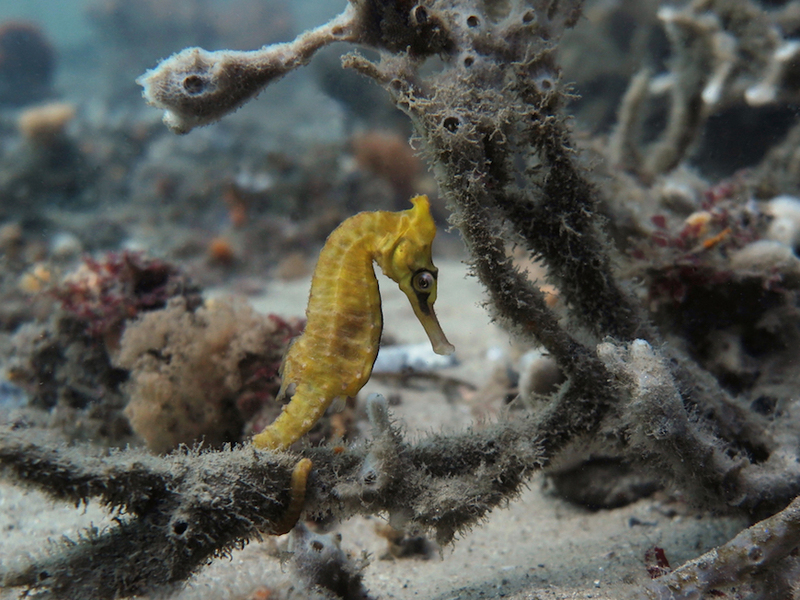 Often, when you are watching a seahorse, if you come round the front of them they will slowly turn away, to face directly or nearly directly away from you. In some ways this must leave them even more vulnerable, but it adds significantly to their efforts at camouflage, as the distinctive face is gone. 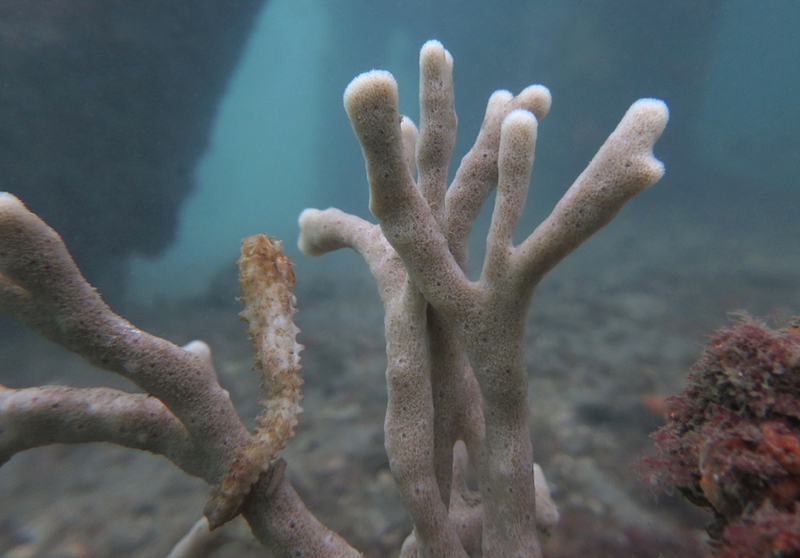 Below is an example at Chowder Bay, perched on a sponge. The individual above seemed more relaxed. In The View from Nowhere (1986), Thomas Nagel gives what is now a slightly unusual statement of the central problem for the philosophy of mind: “The main question, how anything in the world can have a subjective point of view, remains unanswered.” Especially when looking into those delicate faces, it seems inescapable to think about these animals in terms of a “point of view,” and this in a strong sense of the phrase. They surely have a subjective point of view. There is a way the world seems to them. They are subjects of experience. When they face us or turn away (turn away from our viewing), we feel we can put ourselves in their fins (though these seahorses often swim with their sideburns). But one has to wonder about the role of their faces in this – those seemingly expressive faces, faces that invite psychological interpretation. Seahorses are fishes, not radically different from others (though with unusual reproductive practices, including a kind of male ‘pregnancy’). There is no reason to think (as far as I know) that those expressive-looking faces indicate a special complexity in their inner lives, as compared with other fish. If fish with nondescript non-faces don’t prompt this sort of interpretation, we should surely be careful in a case like this. I think subjectivity and “point of view” are good bridging concepts with which to approach the mind-body problem, but point of view is also a concept that brings with it special anthropomorphic perils. We humans, like many other animals, are attuned to look for agency in objects – which things around us are agents, and what might they do? 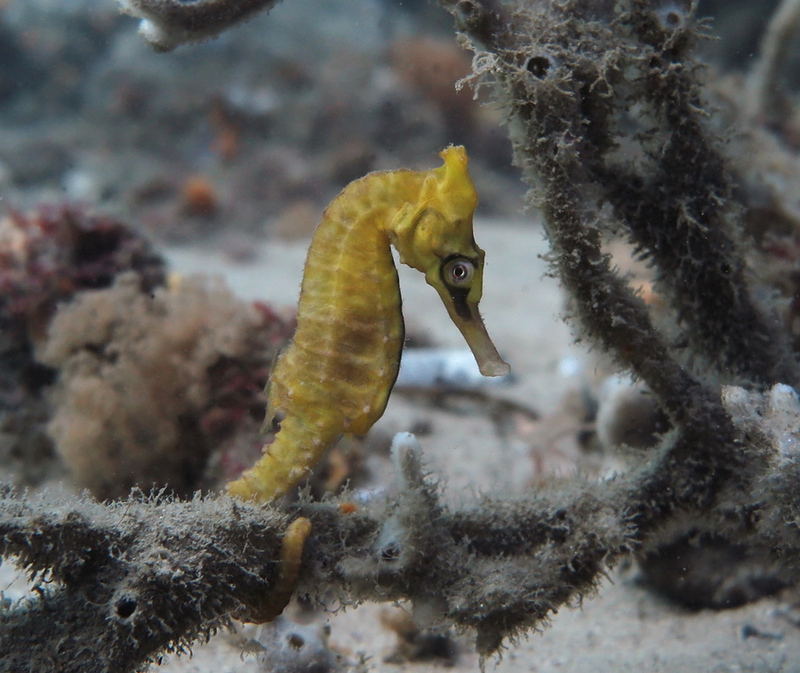 Eyes and faces function as guides; they elicit our attention and a search for interpretation (hence the effectiveness of the seahorse’s self-effacing approach to camouflage). The evolutionary shift that brings a slender pipehorse into an upright pose and creates a curl of head and neck can’t itself make a big difference to the existence of subjectivity, though it does make a big difference in how the animal looks to us. 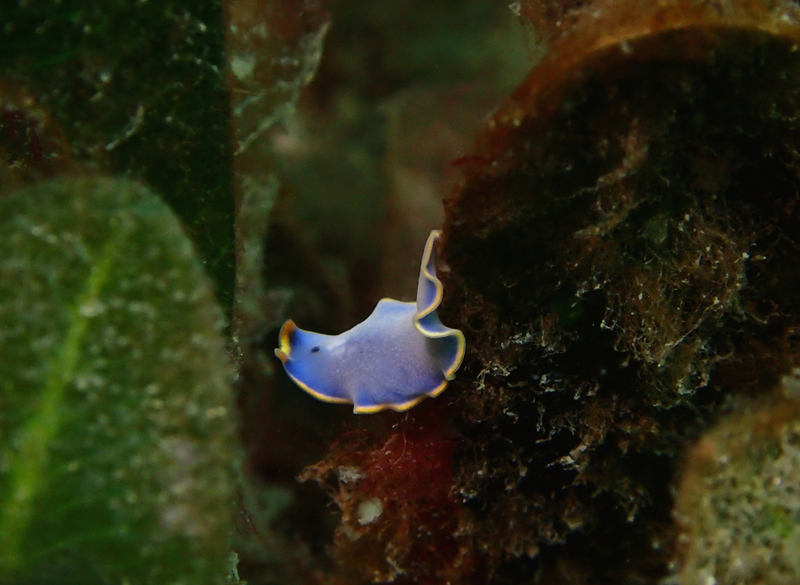 On my way back to shore, in much shallower water, I came across a platyhelminth – a tiny flatworm, a speck of bright blue among the weed. The tide had turned and was running pretty hard out to sea. 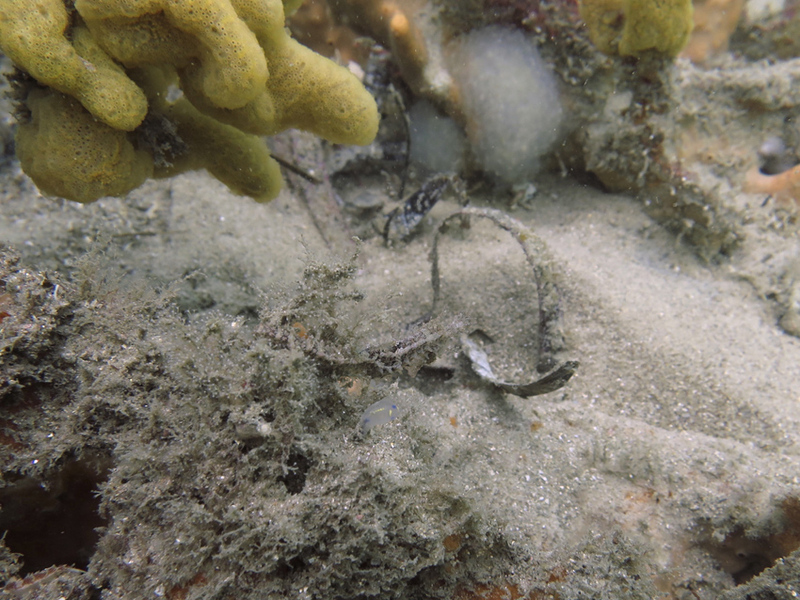 With tide moving the weed and me trying to stay in place, cumbersome in shallow water, the flatworm was buffeted and sloshed around everywhere. With none of the concern I’d shown for the seahorse, I was also trying, erratically, to get the flatworm into the beam of my light. Does this animal also have a “subjective point of view” in the sense above? How did it experience the chaos of tide, weed, and photographer? It has eyes, but they cannot form an image of the world – there is much less view. It also has chemical sensing, the ability to taste its environment. It is the locus of a family of capacities to sense and respond. Some philosophers would say at this point: the flatworm has a point of view in one sense, a purely functional sense (indicated by that term locus), but not in a sense that implies subjective experience, not in the sense that really matters. Above I said that Nagel’s formulation of the mind-body problem was a bit unusual, and that is because what a lot of people would now point to as central, and as resistant to biological explanation, is the “qualitative character” of experience (the subjective redness in your seeing of a tomato, for example). These people might say that the idea of “subjective point of view” is not the right way to think about the problem, as points of view might exist without any sort of qualitative feel being associated with them. Part of what I want to do, though, is resist a separation between a functional sense of “point of view” and a sense that includes more, and resist other attempts to peel off the “qualitative” as something that might vary independently of the biological goings-on that make an animal into a subject. Rather than two senses of subject, or point of view, there is one sense, but these features of organisms exist in gradient form – there are distinctions between (roughly speaking) more and less, between definite and indefinite. The platyhelminth has a little bit, or a partial version, or a less definite incarnation, of the same sort of thing that the seahorse has and we have. Making sense of this is what I am grappling with now. 2. 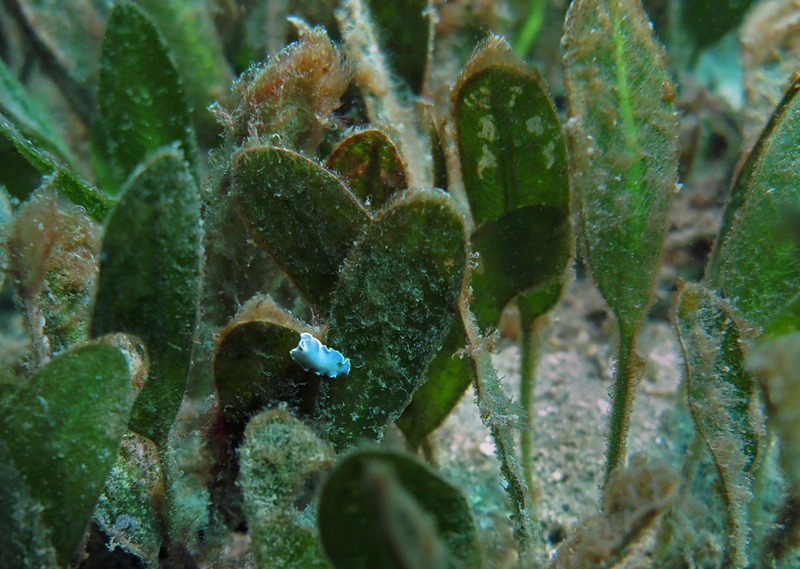 Seahorse camouflage can be very effective. Below is an example, one aided again by a head-turn. If you can’t see the animal, it’s here. 3. Most of these photos were taken at Nelson Bay. This is now my main dive site. 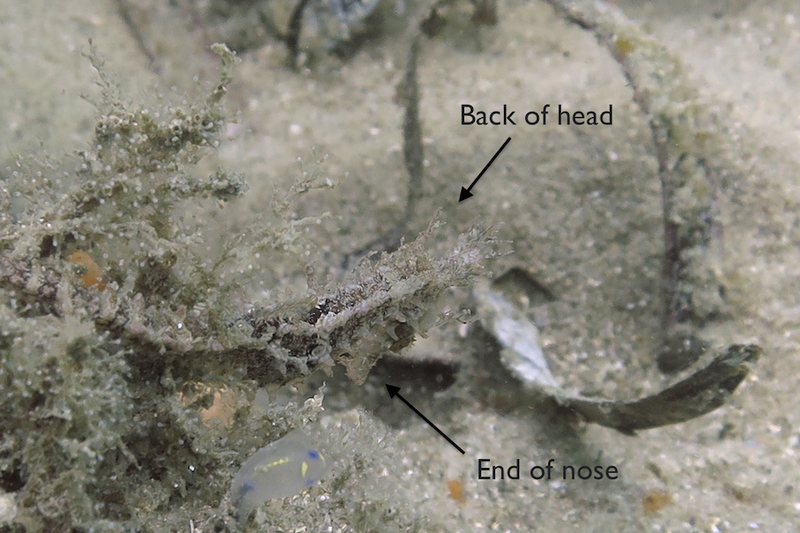 It seems to me that Cabbage Tree Bay may have been negatively affected by several scientific releases of baby wobbegongs (carpet sharks), the most recent in 2012. The animals seem to have stayed around as they grew up, and the population of wobbegongs in that patch of ocean is now pretty large. Cephalopod populations, on the other hand, seem much reduced. I’ve not seen a Sepia mestus there for years now, and octopus numbers are well down. On scuba, I used to see one or two wobbegongs per dive in the “Bower” area, and now I’ll see at least six, sometimes more. I am not advocating a cull, but I think it would be a good idea to catch some of these animals and move them 50 miles up or down the coast. The cephalopods will thank us. 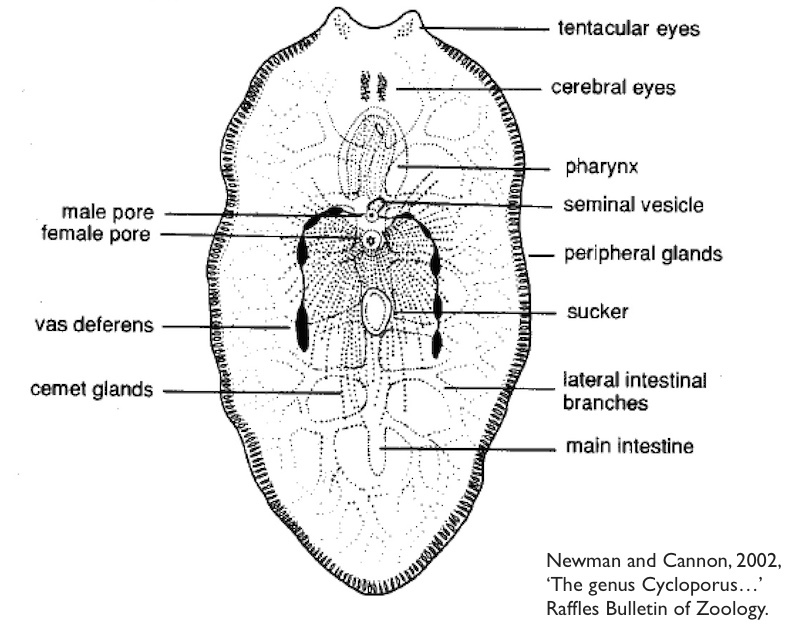 This entry was posted in Bodies and Minds and tagged animal minds, consciousness, flatworm, seahorse. Bookmark the permalink.